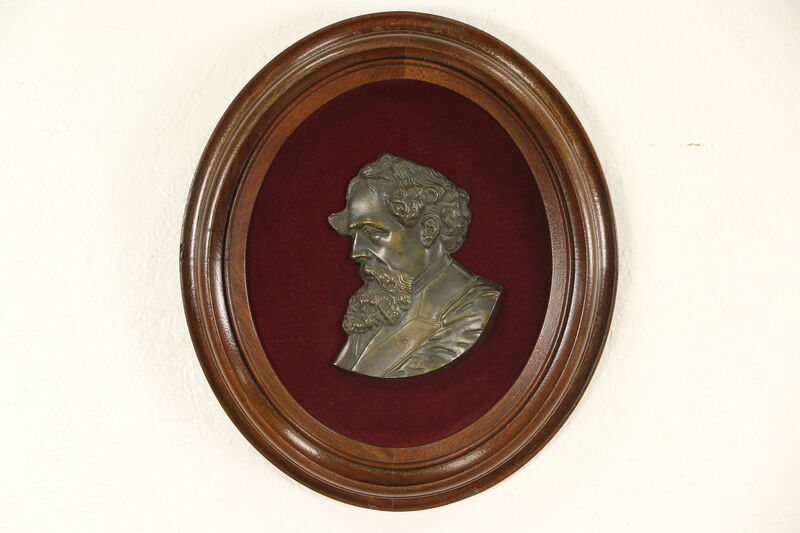 The beloved author, Charles Dickens, is the subject of this bronze bust plaque from about 1870. This patinated work of art is mounted on later velvet in a solid walnut oval frame with an excellent finish. The sculpture is 7" tall, the frame measures 15 1/2" tall, 13 1/2" wide and 2" deep.